About: The Rapid River is a legendary adventure among paddlers, however it is so remote that many commercial outfitters stopped running it years ago. 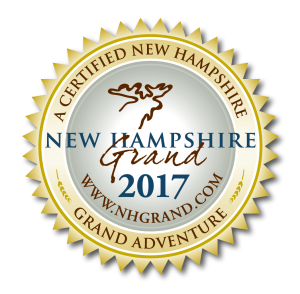 As one of the closest solid Class IV river adventures to Boston, this trip is popular among adventurous families and adult thrill seekers. Let us transport you through the deep woods and logging roads to this unique, adrenaline packed adventure. This trip starts out with a gorgeous 30 minute, 1.5 mile paddle across “Pond in the River” where your experienced Maine guide will teach you how to paddle the raft. From there, it’s all downhill (which is a good thing if you are rafting)! Rapid after rapid with successively increasing intensity for 4 miles is what gives this river its legendary status. Holes the size of SUVs and towering waves will have you asking when we can go again!?! This trip ends with a relaxing pontoon boat raft tow across the pristine Lake Umbagog. A meal is served when we arrive back to base. Due to the remote and extreme nature of this trip, only those ages 12+ are permitted to participate in this trip. There are very few evacuation points, once you start you are committed to the entire journey! Duration: This trip is a full day adventure that last approximately 7 hours from start to finish. Availability: This trip is offered only 10 times on select Fridays, Saturdays and Sundays throughout July and August! Scheduled release dates for 2019 are: July 19, 20, 21, 27 & 28 / August 3, 4, 9, 10 & 11. Two trip times are available, 8:00am and 10:00am. What Are Class IV Rapids: The American Whitewater Association Classifies A Class IV as – intense, powerful but predictable rapids requiring precise boat handling in turbulent water. Depending on the character of the river, it may feature large, unavoidable waves and holes or constricted passages demanding fast maneuvers under pressure. A fast, reliable eddy turn may be needed to initiate maneuvers, scout rapids, or rest. Rapids may require “must” moves above dangerous hazards. Scouting may be necessary the first time down. Risk of injury to swimmers is moderate to high, and water conditions may make self-rescue difficult. Group assistance for rescue is often essential but requires practiced skills. A strong eskimo roll is highly recommended. Rapids that are at the lower or upper end of this difficulty range are designated “Class IV-” or “Class IV+” respectively.